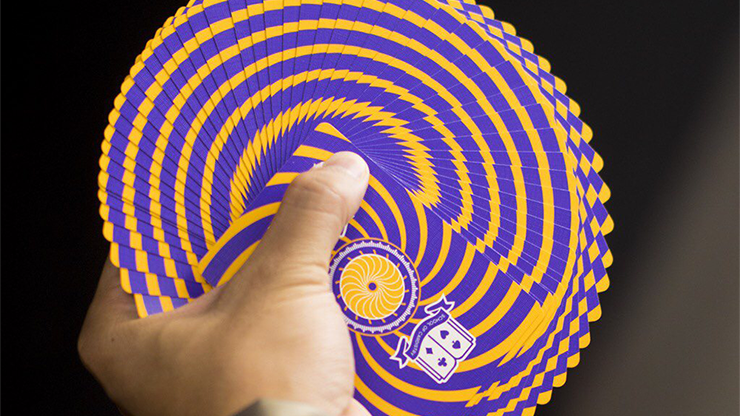 Since its humble beginnings 5 years ago, the School of Cardistry YouTube channel has grown to be an integral part of the Cardistry community, providing a free and easily-accessible resource to anyone interested in learning the art. 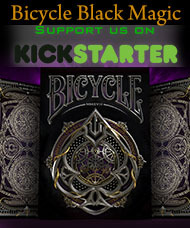 We have now reached 100,000 subscribers, and we thank you, our loyal followers, for making this possible. 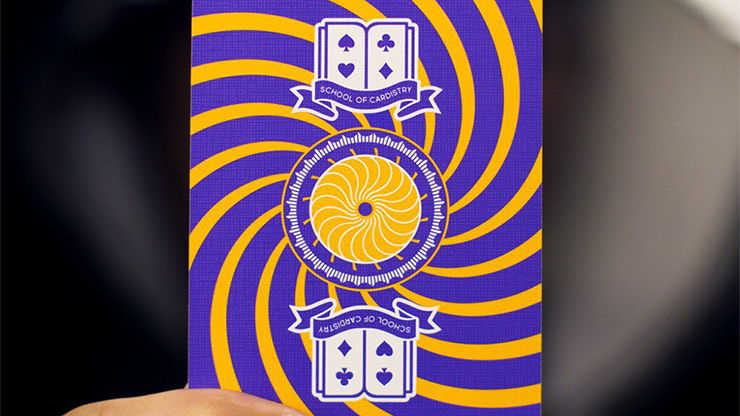 Featuring a wrap-around tuck design, the latest entry into our most popular series of playing cards features our new take on the "Beyond Borders" back design, with spirals that echo beyond the cards. 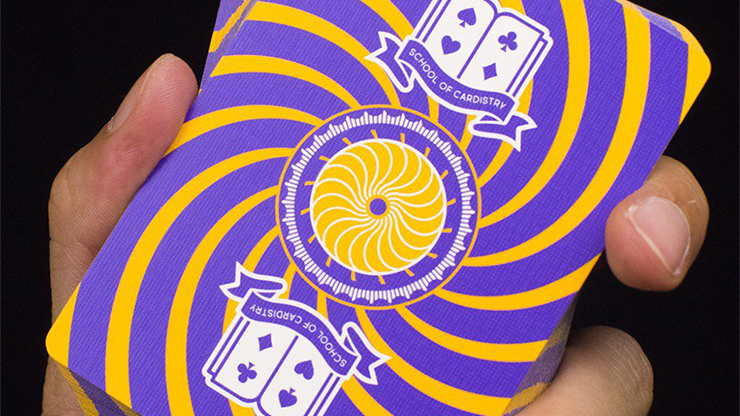 This 4th version of the deck carries the signature of every School of Cardistry deck - non-standard faces. 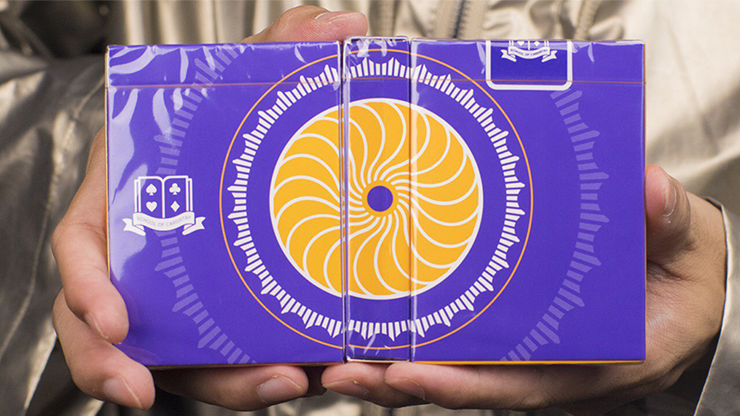 The use of the Pantone color of the year, Ultra Violet, and its split complementary color orange, brings vibrance and life to your cardistry. 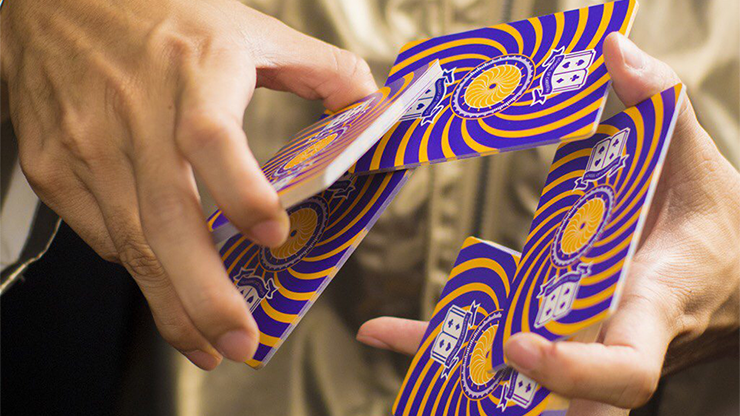 Designed to accentuate spinning moves, the backs feature alternating purple and orange spirals that appear to change color when you perform pirouettes. 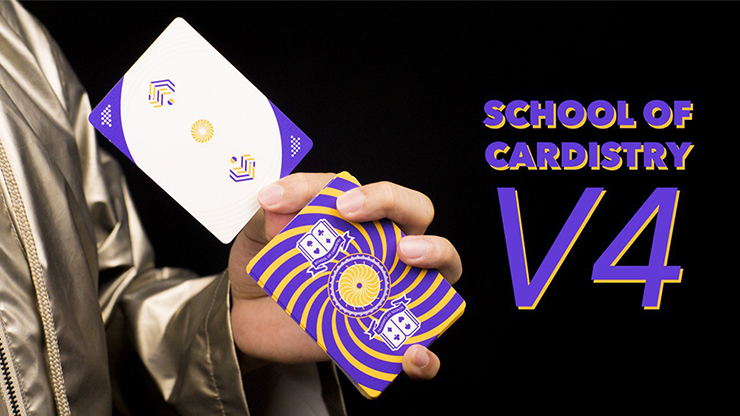 The School of Cardistry V4 Deck is printed on a snappy yet soft stock, improved from the popular stock of the Jaspas Deck Favorite Day Edition.